Hello U Create Readers! I am so thrilled to be here today! I’m Hannah from We Lived Happily Ever After. I am a DIY-aholic! I love sewing for my daughter & making my home a (hopefully) beautiful place for my family! I would love for you to stop by and say hi! 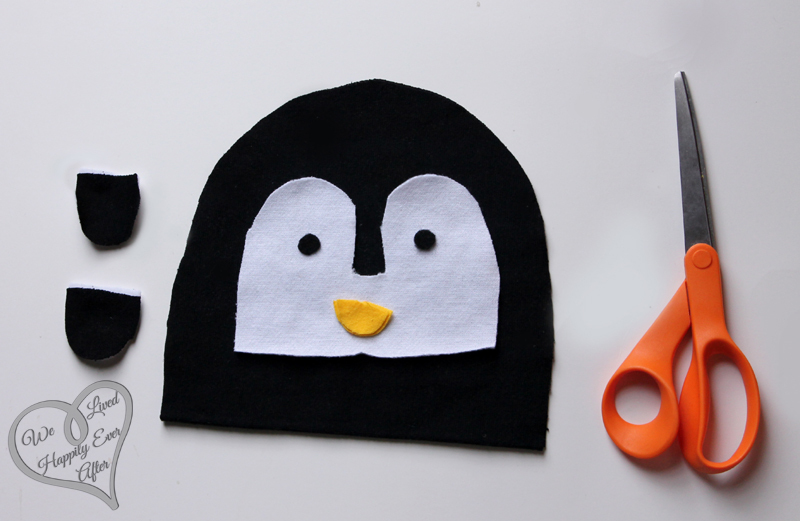 If you want to make this hat bigger to accommodate a child or adult, just increase the pattern pieces by making the main hat piece as wide as half of the circumference of the head. Cut out Pieces as directed by pattern. 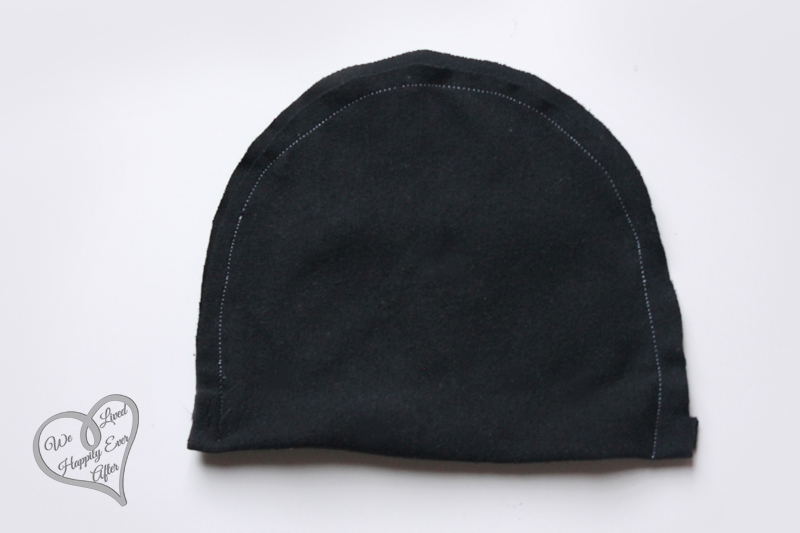 For the Hat: 2 Black Knit Pieces. For the Beak: 2 Yellow. For the White Face: 1 White, non fraying fabric, or White Felt. For the eyes: 2 Black Felt pieces. 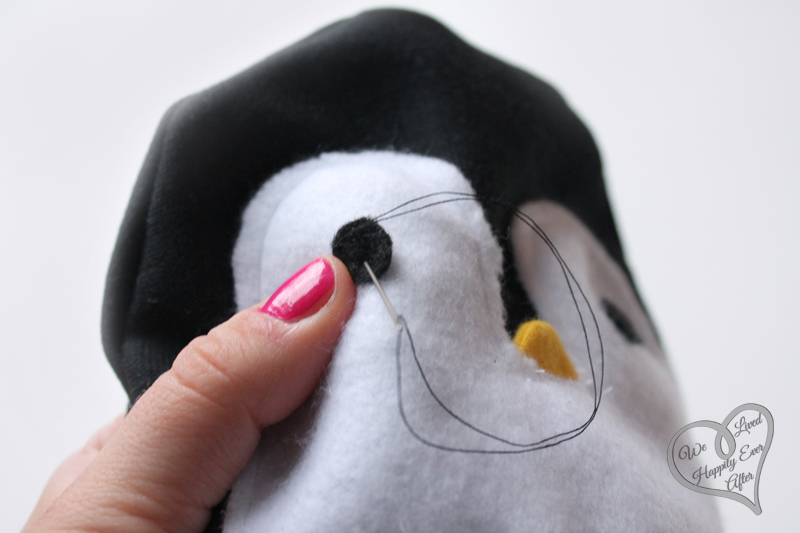 Sew the yellow beak pieces together, turn inside out, and then sew facing up on the back side of the white face piece. Flip it over and turn the beak so that it is pointing out. 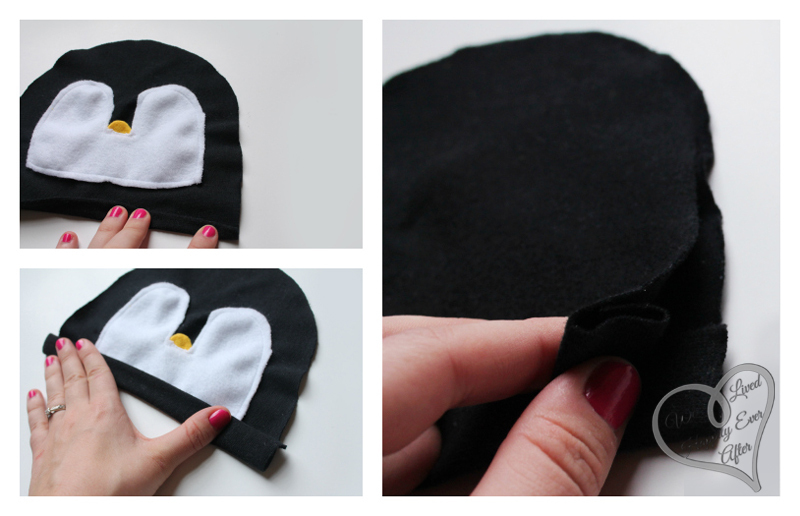 Sew on the white face on one of the black hat pieces. 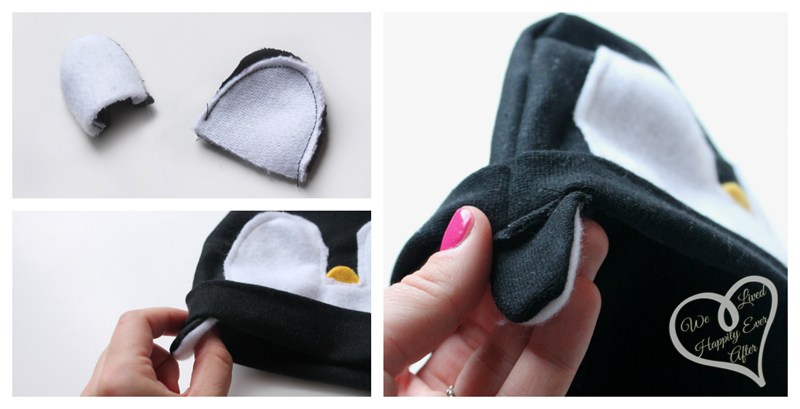 Fold up where the pattern pieces say “fold up.” You should do it twice. This creates a band for the hat. Flip both fronts of the hat pieces together & match the folds on both of the hat pieces. Pin in place if you want to. Sew wings together. Turn inside out. Sew with the center right under the seam for the hat. Hand sew the eyes on! And there you have it! 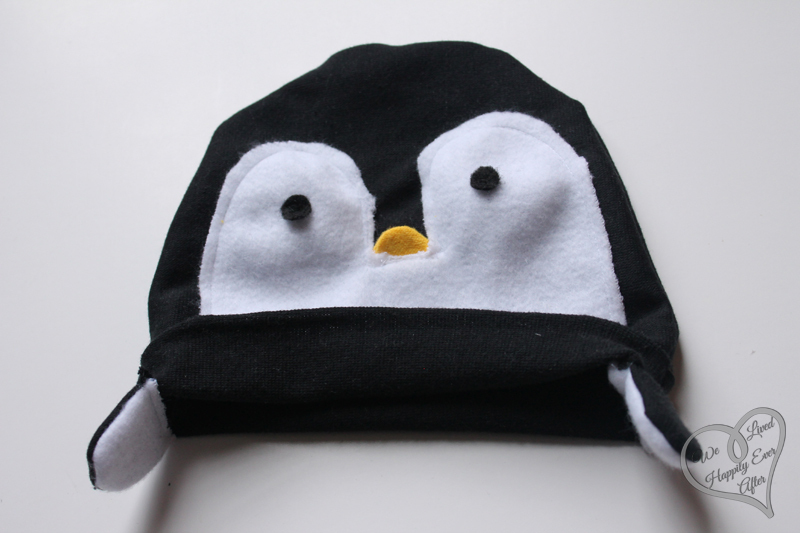 One adorable Baby Penguin Hat! Take pictures of your little model! Love the hot pink dino! I love the large green dino! thank you! Love them all, but the whale and dinosaur are sooo cute! I TRULY LOVE the looooong Whale! So cute!!! Loved the whale!!! But the seahorse is my favourite one!! 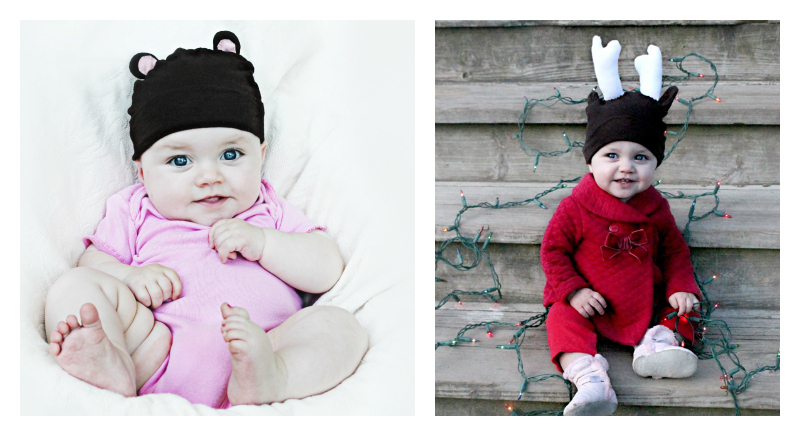 Oh gosh ~ They’re all just adorable and with two grandchildren under 13 months of age, they would both love them too. I really love the giraffe. That long neck would be super easy for them to hold onto and toddle around. The sea horse is so cute!! Thanks for the fun giveaway!! I LOVE the 17″ Tall Hot Pink Giraffe Stuffed Animal! I love the whale and giraffe the best. I like the whale. So cute! I would have to say the seahorse is my favourite. I love them all, but I’m a little obsessed with giraffes. The 20″ pink giraffe is adorable. I love the seahorse. I think I’m going to get that to make for my nieces & nephews! I also can’t read the tutorial for the Penguin hat the link does lead to an really cute Reindeer hat though! Great posts. Hannah, you are amazing!